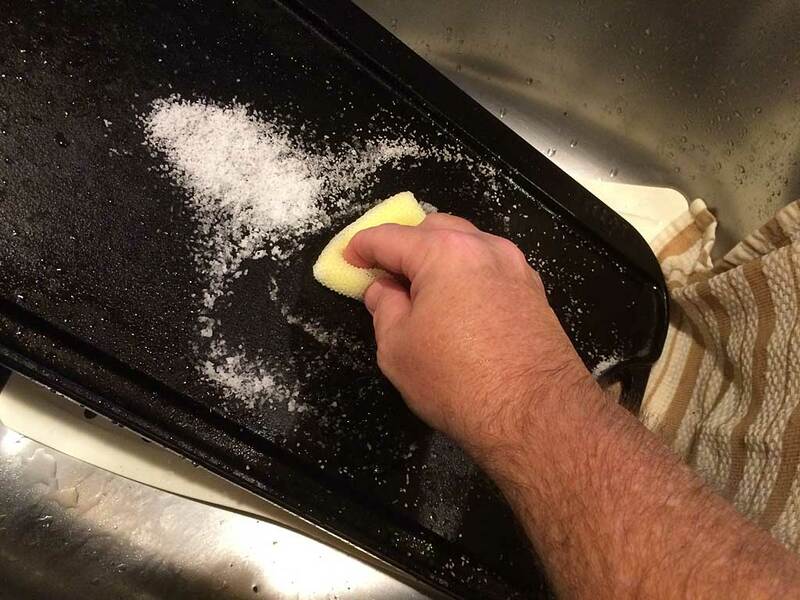 When it comes to cleaning a cast iron griddle or skillet, it’s really not that hard. Just follow these easy steps. 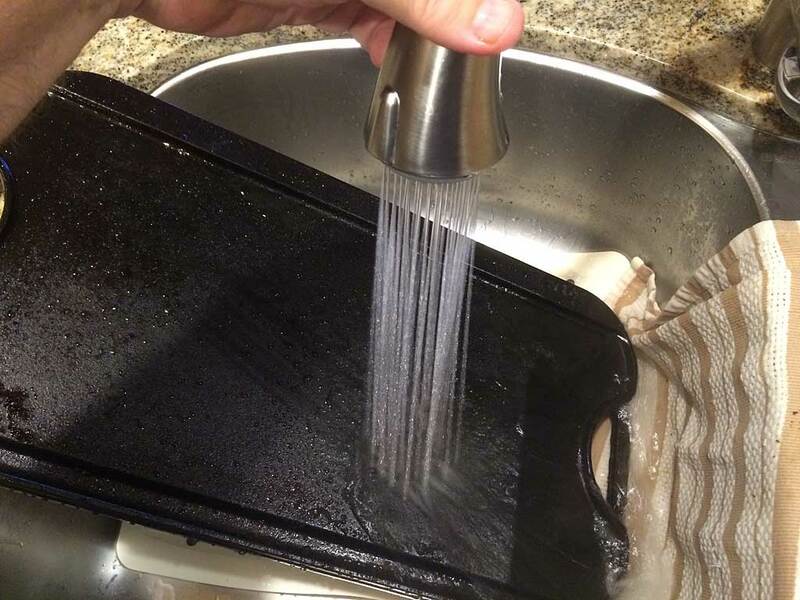 Rinse the griddle or skillet under the hottest tap water you can stand, taking care to not burn your hands. Under that hot running water, use a nylon bristle scrub brush without soap to remove loose material. To remove stubborn bits, turn off the water and sprinkle a good amount of kosher salt on the cast iron as a gentle abrasive. Scrub the salt all over the surface with the brush, then rinse. You can also use a non-scratch scrub pad like a Scotch-Brite Dobie with or without the salt. Give the griddle or skillet a good final rinse and dry thoroughly with a soft towel. You’ll see some brown residue come off the cast iron onto the drying towel—that’s OK. 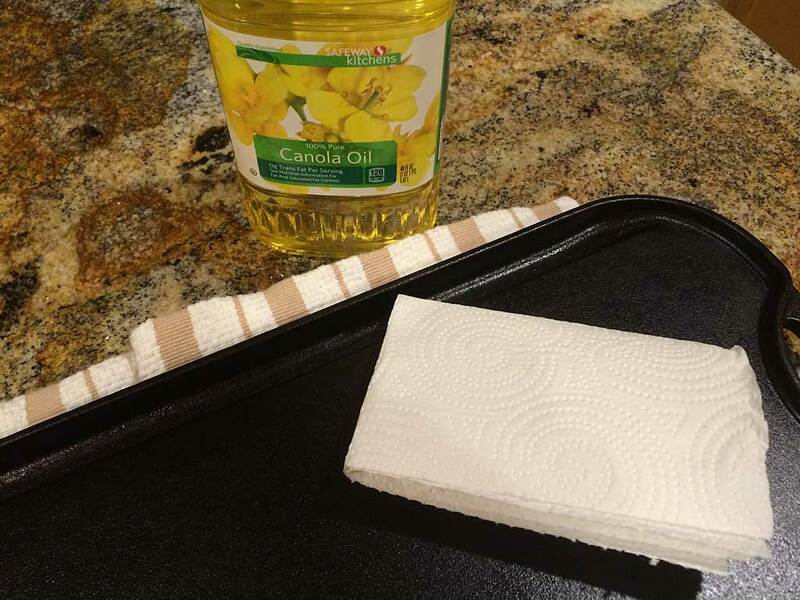 While the cast iron is still hot from the sink, apply a thin coat of vegetable oil, canola oil, or peanut oil to all surfaces using a paper towel, then wipe off the excess using more paper towels or the drying towel. Store your cast iron griddle or skillet in a dry location and it will be rarin’ to go next time you need it on your gas grill! 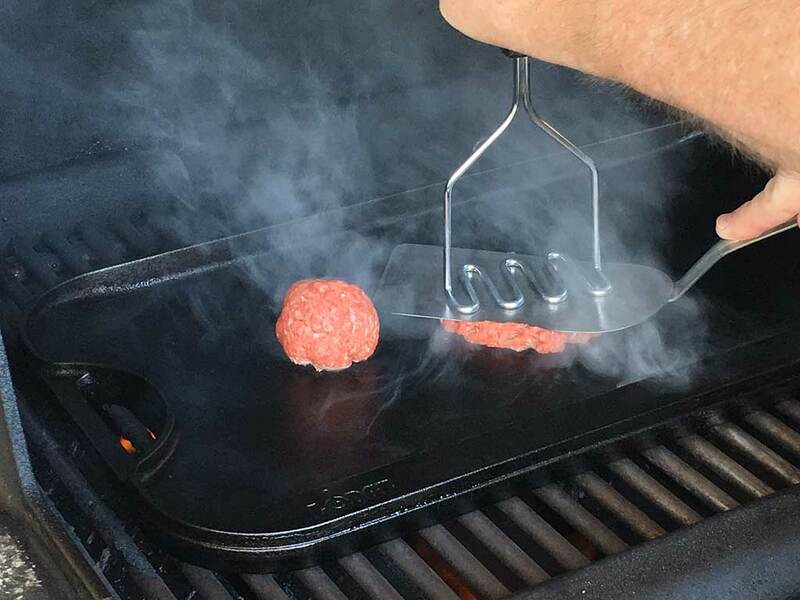 Here are my recommendations for a griddle and skillet that work great on a Weber gas grill. 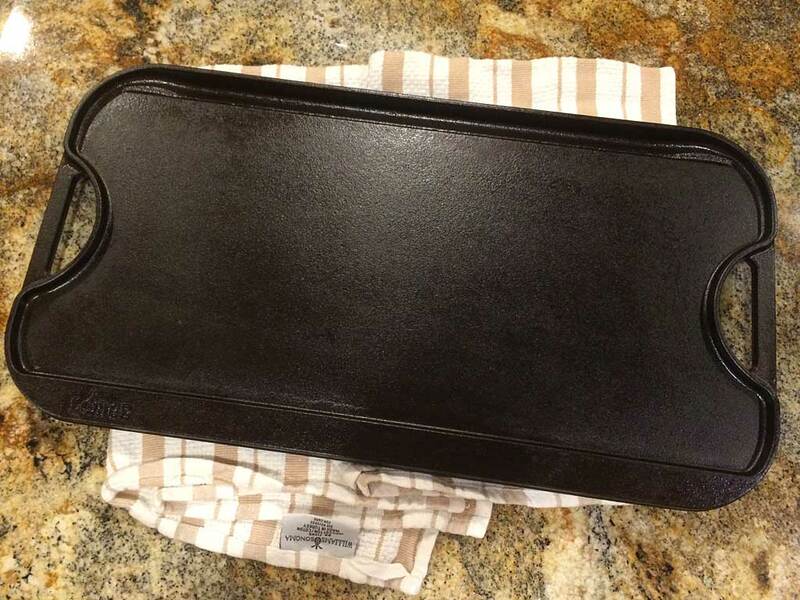 My favorite griddle is the Lodge LPGI3 Pro-Grid Cast Iron Reversible 20″ x 10″ griddle. It’s flat on one side (that’s the side I use most often) and a raised grill on the other side, has easy grip handles on each end, and it comes pre-seasoned so it’s ready to go right out of the box. 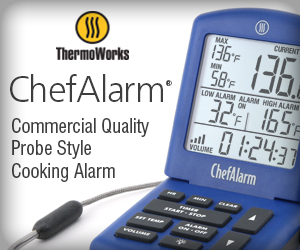 It weighs 16 pounds and is made by Lodge right here in the good ol’ US of A. My favorite skillet is the Lodge 12″ cast iron skillet. 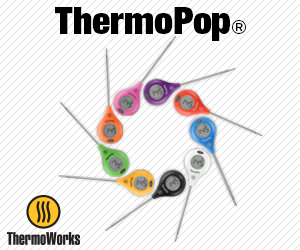 It comes pre-seasoned and it’s as useful on your kitchen stovetop as it is in your Weber gas grill! Like the griddle, it’s also made in the USA.